Change is hard. It’s easier to live life, operating from our old, comfortable, and repetitive patterns, rather than actually taking action to create desired change. Though we say we want to lose weight, our actions do not always follow. Though we say we want to improve a relationship, our old habits work against us, preventing improvements to take place. Though we say we want to advance in our career, we avoid taking the necessary steps to get there. A key reason is we lack awareness. We live and operate with blind-spots. Denial competes with what we say we want and the solution is a simple habit any of us can develop and we really don’t need to spend a penny on it. It’s called reflection and the method I have found to work best when reflecting is to journal. If you are like most, when you hear that word, “journal” you will sigh, roll your eyes and be tempted to dismiss the suggestion. You may be a male and think, “Guys don’t journal. That’s a woman’s thing.” Well, keep reading; you may see things a little differently as we go on. Before we dive any further into journaling, let’s get clear on exactly what reflection is. Reflection is a powerful practice that almost always guarantees improvement (aka change). Reflection is like a mirror. It allows us to see what others see. It can also expose blind-spots. 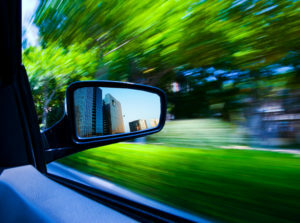 Just like the rearview and side mirrors we use when driving, reflection creates safety. When we use journaling to reflect, it really does act like a mirror because it helps us untangle our thoughts. We think 1000-3000 words per minute, which makes it safe to say, we are not conscious of most of our thoughts. When we write them down, we bring our thoughts to consciousness, empowering us to decide what we want to do with those thoughts. There have been more instances that I could count where I was journaling, only to find myself shocked at the words being written down on paper. Prior to the journaling, I had no idea I thought that way, which positioned me powerless to make improvements to my thinking. What am I thinking and feeling right now? If you do this, be prepared to be glad you did. You will create clarity and increased self-awareness. 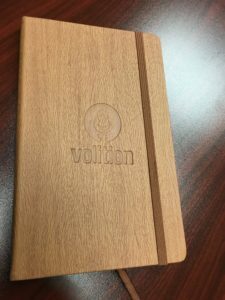 I believe in journaling so much that I took the advice of my speaker coach and created a Volition journal, which is now available for purchase. Volition means the faculty or power of using one’s will. Volition is all about finding and exercising choice in every situation. What better way to find choice, than through reflection through journaling, using the Volition journal? Let me know if you or someone you know would like to purchase any, by sending me an e-mail. Whether you use my journal or not, please do consider developing the habit of reflection through journaling. It is still amazing to me how much positive change you create, simply by embracing this one simple habit. You may find hitting your goals easier than ever. You may find getting unstuck not as hard as it once was. Your confidence will boost, your passion will awaken, and you will feel more empowered than ever!